Increase the percentage of adults and children who are at a healthy weight. Strategy 1.1: Promote healthy eating habits and active lifestyles in adults. 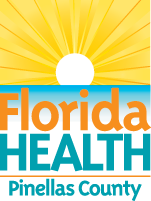 Objective 1.1.1: By Dec 31, 2017, decrease the percentage of Pinellas adults who are either overweight or obese from 65.6% (2010) to 59%. Strategy 1.2: Promote healthy eating habits and active lifestyles in children. Objective 1.2.1: By Dec 31, 2017, increase the proportion of Pinellas children (1st, 3rd, 6th grade) who are at a healthy weight from 65.1% (2010 - 2011) to 71.6%. Objective 1.2.2: By Dec 31, 2017, decrease the percentage of Pinellas high school students reporting BMI at or above 95th percentile from 10.3% (2012) to 9.3%. Increase behaviors that improve chronic disease health outcomes. Strategy 2.1: Promote screening, education, and referral to treatment related to cancer. Objective 2.1.1: :By Dec 31, 2017, increase the percentage of Pinellas adults age 50 or older who received a colorectal screening in the past five years from 73.5% (2010) to 80.9%. Objective 2.1.2: By Dec 31, 2017, increase the percentage of Pinellas women age 40 or older who received a mammogram in the past year from 61.5% (2010) to 67.7%. Strategy 2.2: Promote screening, education, and referral to treatment related to heart disease. Objective 2.2.1: By Dec 31, 2017, decrease deaths due to heart disease in Pinellas from 155.5 per 100,000 (2010 - 2012) to 139.9 per 100,000. Strategy 2.3: Promote activities to reduce tobacco use and exposure in adults and youth. Objective 2.3.1: By Dec 31, 2017, increase the number of committed never smokers amount Pinellas youth, ages 11 - 17 from 64.1% (2012) to 70.5%. Objective 2.3.2: By Dec. 31, 2016, decrease the percentage of Pinellas adults who are current smokers from 19.3% (2010) to 17.0%. Increase protection against the spread of infectious disease. Strategy 3.1: Provide targeted education on the benefits of receiving immunizations to increase the percentage of children who are fully immunized. Objective 3.1.1: By Dec 31, 2017, increase the percentage of Pinellas two-year-olds who are fully immunized from 75.3% (2012/2013) to 90%. Objective 3.1.2: By Dec 31, 2017, increase the percentage of Pinellas Kindergarteners who are fully immunized from 89.8% (2012/2013) to 94%.